Sarah Alfarhan: Fishy Business ! For portfolio class we were given the option to come up with our own assignment & I chose to try an editorial piece. It is for an article in the 'Family Pets' pages of 'Parenting: early years' magazine. The article explains steps & tips for having an aquarium, picking fish, & decorating the tank. 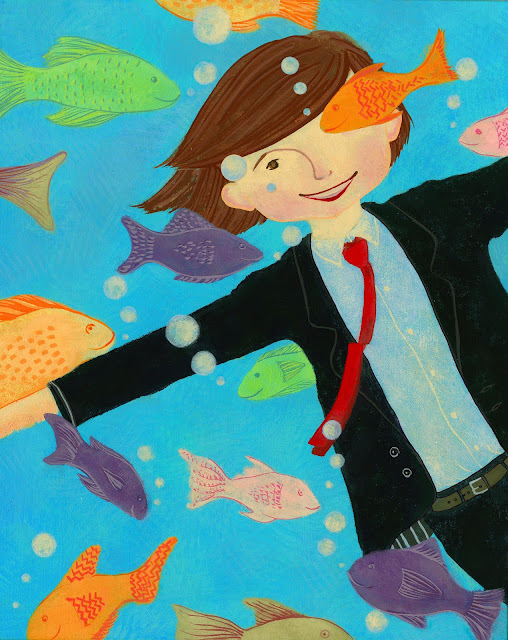 'Fishy Business' is written by Jennifer Kelly Geddes in 'Parenting: early years' magazine, March 2010 issue.